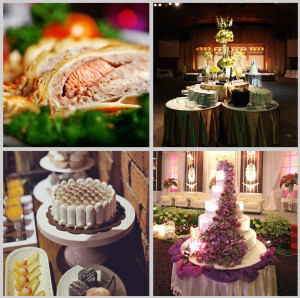 Chez Ingrid wedding caterers understand the importance of your wedding day and creating the perfect wedding catering experience that will complement your special day and provide a lifetime of memories. Each is its own special moment that deserves extra-special care and attention. Let us help create an experience that your guests will remember long after the last toast. Our wedding catering team can also assist with your wedding planning and experienced event management team will help you plan your day from start to finish providing advice on food, table flowers, buffet table decorations, cakes etc.